Picking attacking players who may give Manchester United the best balance of attacking flair and defensive discipline would most likely be Sir Alex Ferguson’s criteria when picking his front three. Well, at least in the wide areas that is. Barcelona’s attacking full-backs would take some looking after as they will attempt to get forward at every occasion. Up front, a hybrid player would also be necessary but this time with a combination of strength, pace, intelligence, the ability to link up play and finish clinically. Against Barcelona it is important to ‘flood the middle of the park’, and United would definitely do that by playing 3 in the midfield but with Messi most likely being picked up by a midfielder leaves Sergio Busquets without a direct opponent so he would have to be closed down by the forward transforming what looks on paper to be a 3v3 battle to a 4v4. In order to tick all the ‘metaphorical’ boxes mentioned in the opening paragraph the potential attack for the Red Devils should look like what is depicted in diagram below with the player on the left a surprise call (not due to his inclusion but his position) to most but the reason would be expounded later in the article. 1. Rooney has shown that he is flexible as a forward, can play with his back to goal, run onto balls played over the top or into the channels and he links up well with those playing around him. Chicharito is one who waits on the final ball. He does not get involved in the build up and he does not fare well with his back to goal. Against Barcelona, the last thing United would want is a forward who who can be easily isolated from the rest of the team and a multifaceted striker who can do most of what the Mexican can do plus some would be necessary. 2. Hernandez plays best when Rooney plays directly behind him in the classical number 10 position but it’s difficult to see Sir Alex Ferguson sticking with this strike force although it has given Manchester United much success in recent games. Coming up against a team so technically gifted and dangerous as Barcelona it is best for one to put out a team that can neutralize their threats and contribute in the attacking phase. 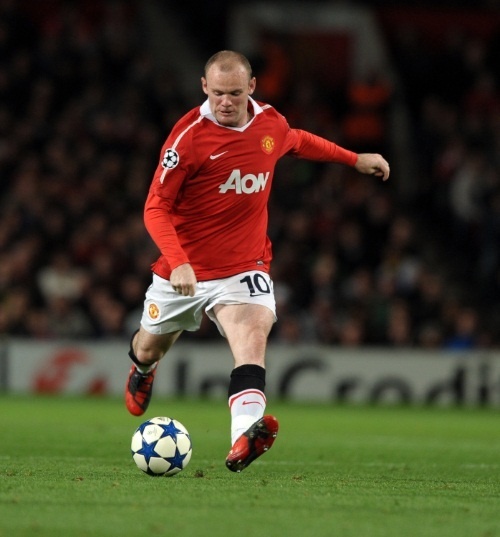 Rooney, who is often lauded for his defensive efforts, strengths in this phase is his recovery speed and the tenacity he shows to win the ball back, is not that good at man-marking. Playing behind Hernandez would most likely put him up against Xavi, who Sir Alex would want to stop from pulling the strings from deep and would designate a permanent man marker to him. Not only may Rooney not be up to the man-marking task but when the playmaker ventures higher up the pitch as he normally he would drag the forward away to a deep position where he would be less of an attacking threat and further away from Hernandez, thus isolating him. Like Valencia, Rooney doesn’t have any noticeable weaknesses especially since he has come into form in the second half of the season. This though would be his third Champions League final and he hasn’t perform well in the previous two so maybe he would take this opportunity to correct those wrongs or the trend will continue. Unlike his brother Fabio hasn’t really establish himself in the first team this year so his inexperience may prove costly. Similarly to his brother though he also dives into tackles and commits silly fouls, he is currently averages the second highest fouls per game average for Manchester United in the Champions League with 2.2 fouls per game. Javier Hernandez is everyone’s spot on favourite to lead the line on Saturday night for obvious reasons. However it should not be a shock to anyone if he starts on the bench due to no fault of his but what would be required of the United team early on. In the wide areas the right balance of defensive nous and attacking flair would suffice. One may realize that the common theme with the majority players selected in this three part scouting report’s projected line up is that very same balance. This well and truly may be the key to defeating Barcelona as they are definitely going to give opposing teams a lot to think about defensively and going forward they would have to be efficient in the few times when they get an opportunity to attack them. Note:- Due to unforeseen circumstance I would not be able to complete the other two parts of the series as promised in Part 1.1 and I apologize for this. In Part 2, I was supposed to analyze how I thought Sir Alex Ferguson would set out his charges tactically and in Part 3 take a look at what effect the (expected) Red Devils substitutions would make coming off the bench . By reading the first two parts one can get a slight idea of how I expect Manchester United to approach the Final tactically and below I would list three of the (expected) substitutes, what impact they may make in the game and in what scenario they most likely be called upon. Javier Henandez: The Mexican has bundles of pace and his movement off the ball in the penalty are is second to none. 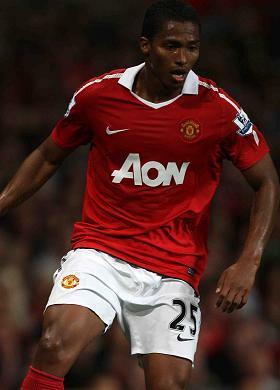 He is a clinical finisher and will be called upon by his manager late on in the game if United needs to nick a goal. Also, if United’s is in the lead and Barcelona are forced to push their defensive line higher up the pitch he would be called on to exploit this and get a goal. Darren Fletcher: The centre midfielder who missed out the 2009 Final due to suspension looks set to miss out this year’s grand finale at least from the start at least due to lack of fitness. However he may be called off the bench to add some steel to the midfield in the closing stages if United has to protect a lead. One can see him coming on for Giggs to match up against Andres Iniesta. This substitution may also be made if the scores are tied and and Sir Alex Ferguson is willing to sacrifice Giggs’ creativity for Fletcher’s tenacity if Barcelona seems to be exploiting this match up. Nani: The winger who has been United’s overall leading assist contributor would see time on the pitch only if his creativity and flair is needed. If the Red Devils are down they would call on him without a doubt and if the scores a tied and Ferguson is looking for a spark late on to run at tired legs Nani definitely has to be his man. Thanks to everyone who have read my scouting report on Manchester United, please leave a comment and let’s generate some debates because I know not everyone would agree with my starting line up and also give follow me on Twitter @jabari53. Much appreciated.